The Pole’s relationship with pork chops is like the American’s relationship with steak. Although I love steak, I also love pork. After 25 years of Polish Pork Cuisine, pork has become an integral part of my diet. Sometimes when I get cravings for the old times and Slavic–Germanic culinary tradition, I make a simple pork schnitzel accompanied with potatoes and dill. When the spirit of Californian speaks to me and I want a healthier version, I make a pork schnitzel… breaded in buckwheat flour. 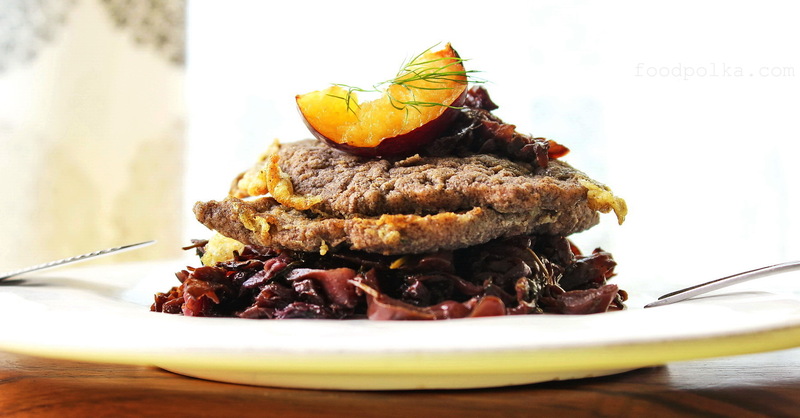 So here is a recipe for a delicious buckwheat schnitzel that you can make at home. Frankly, I feel that it tastes even better the next day. 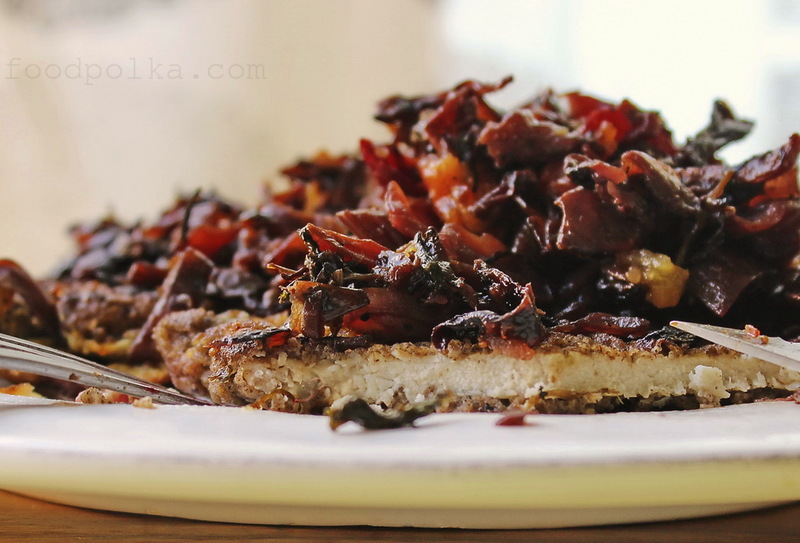 Reheated in the oven, when all the beautiful flavors and aromas of roasted buckwheat are fully absorbed by the meat. Try it out both ways. Pound the meat (using meat tenderizer) periodically turning (the thickness of the chops depends on individual taste, but I like schnitzels that are no thicker that ¼”). Sprinkle meat with salt and pepper and let it stand for 30 minutes. Beat egg with a fork in a deep plate. Pour buckwheat flour into a separate plate. Coat the chops in flour, then dip in egg and then again coat with buckwheat flour (shake off excess of flour, especially coarse lumps that are hanging off the meat). In a large skillet, heat the vegetable oil (when oil starts to shimmer, it’s hot). Fry pork chops on both sides over medium heat until golden brown (approximately 3 minutes for each side). Chcesz przeczytać po polsku? Kliknij tu: “Schabowe sznycle w mące gryczanej czyli wieprzowina w duchu kalifornijskim”.